The ordering protocols in these circumstances provide opportunities to catch the eye of a barmaid, who seems to be perpetually ignoring only me. 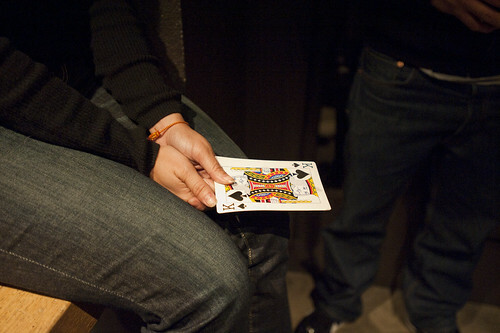 Somehow the King of Clubs gets attached to our order, sort of, and the drinks-and-food delivery girl sorts out finding our party, outside on the deck under cover of overhead heating grills. 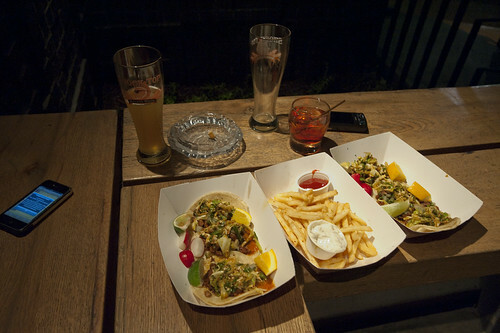 The same food at another similarly-hip-but-once-rough-and-tumble bar called The Brig in Venice Beach California, you simply queue up at the korean BBQ taco truck that sits in the parking lot some nights. The circumstances of this either provides an invitation for you to get something spicy to eat and cool-down with an overpriced pint in the bar, or get wobbily at the bar and convince yourself you need something to eat to absorb all the booze. Other situations provide a more tacit association between you and your food. You’ll get a numerical ambiguous (unless you’re cleverer than I) placard at this quick-food sandwich-and-coffee joint near the studio. 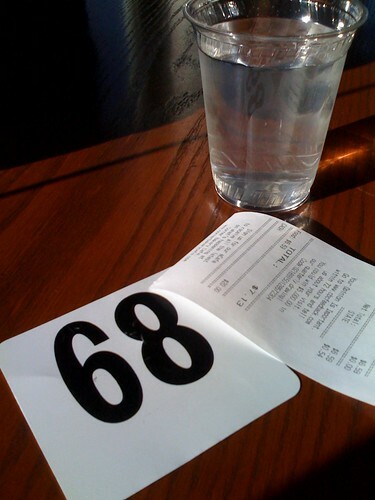 Most fast-food joints will give you a receipt with a number. 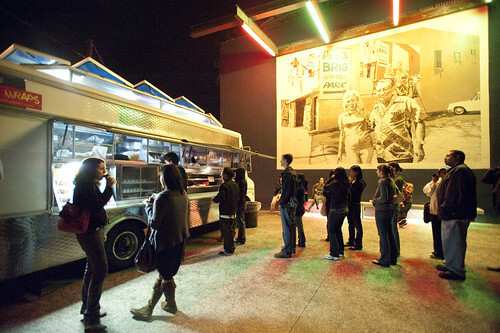 Parenthetically, suggestive advancements are presented by the not-super-rocket-science-y announcement mechanic of Kogi BBQ, the taco truck referred to herein. They send out Twitter announcements (I still can’t really bring myself to say “tweets” — gaahh! Guess I just did..) as to their location. I’m guessing there are either two or three trucks, as they are often simultaneously on the east side in the Silverlake area, and on the west side, Culver City and Venice Beach with recent spottings at Santa Monica City College.